There are several well-known connections between the holiday of Passover and the holiday of Shavuot. The most obvious of these is that the celebration of Shavuot is dependent on the count of 49 days that begins on the second day of Passover. Additionally, on Passover we retell the story of the Exodus from Egypt and on Shavuot we celebrate the true culmination of that event, the giving of the Torah on Mount Sinai. One fascinating juxtaposition of the two festivals is that whereas on Passover there is a prohibition against eating bread, on Shavuot the priests brought a special Offering of the Two Loaves (of bread) in the Temple. In fact, they were specifically leavened bread (chametz), as opposed to the unleavened bread (matzah) of Passover. 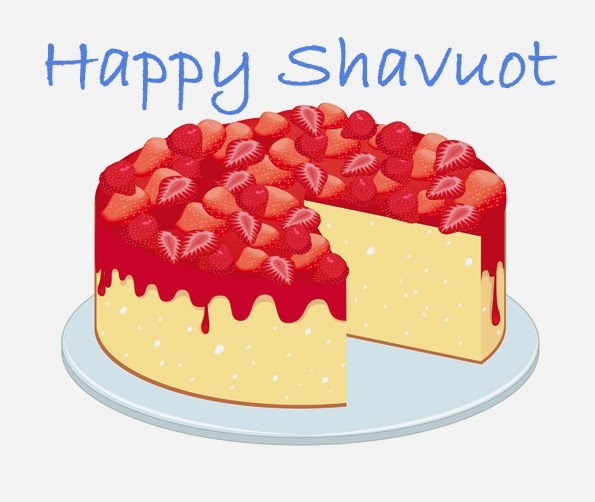 The holiday of Shavuot is also known as Chag Habikurim, the Holiday of the First Fruits, because of the offering of the first fruits that was brought to the Temple. Although the Offering of the Two Loaves was officially separate, it was another form of offering “first fruits,” as the Two Loaves were made from the first cut of the new wheat harvest. Generally, when one thinks of sacred Jewish bread, one imagines beautifully braided challahs, perhaps the stunning twelve (or more) stranded challahs often seen at weddings or bar/bat mitzvahs. Actually, the Offering of the Two Loaves were shaped like large bricks. Their dimensions were seven hand-breadths long, four and a half hand breadths wide and four 'fingers' high (approximately 22 inches x 9.5 inches x 3 inches). The rules associated with the Two Loaves go into great detail as to the preparation of the wheat and the loaves. The Torah instructs that the two loaves be taken as a wave offering, after which each of the priests is given a small piece to consume with a portion of the peace offerings. All of this comes to underscore our constant dependence upon God for our sustenance and our gratitude to Him for our total well-being. This Treat was last posted on May 30, 2014.